Hill City, St. Rose, Thursday, April 11 — 5-7 p.m.
Bonesteel, Immaculate Conception, April 11 — 6:30 p.m. Rapid City, St. Therese, April 11 — 6:30 p.m.
Keystone, Our Lady of Mt. 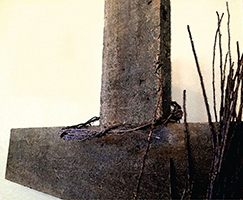 Carmel, Friday, April 12 — Stations of the Cross 5-5:30 p.m.; Reconciliation 5:30-7 p.m.